THE CALL OF adventure, and especially travel to distant lands, is my idea of romance. 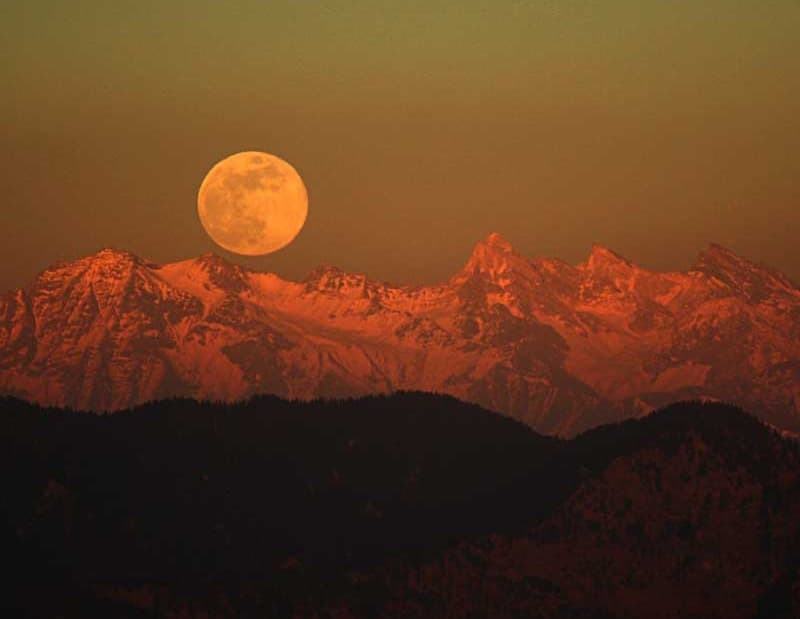 I can think of nothing more romantic than waking up to dawn splashed over the Himalayas or sleeping on a Rajashtani sand dune under the glittering night sky. India is also a great destination for the other kind of romance, with the allure of ancient marble palaces, mist swirled hill tops and lazy, humid boat rides casting a spell of enchantment over unwitting lovers. I’ve travelled the length and breadth of India, and these are my picks for top five most romantic places. 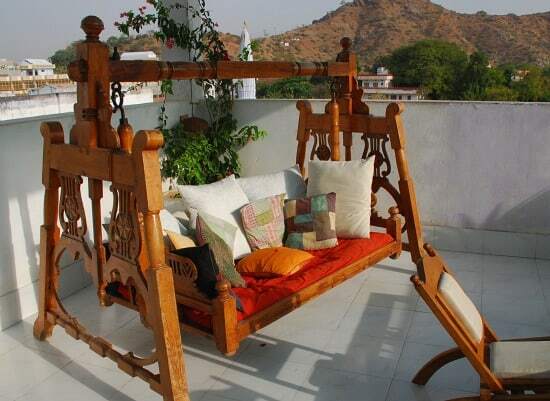 Udaipur is widely considered India’s most romantic city, and for good reasons. 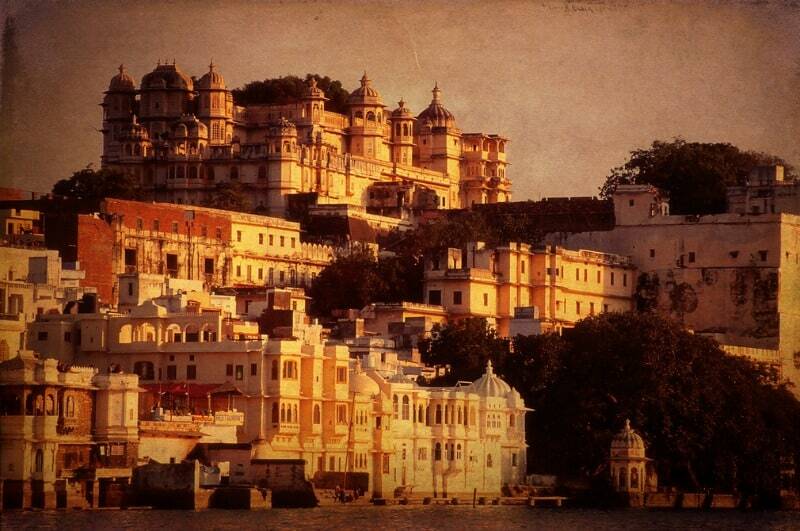 Set like a jewel in the arid Rajasthani desert, the city winds it’s palaces and terraces around shimmering Lake Pichola. 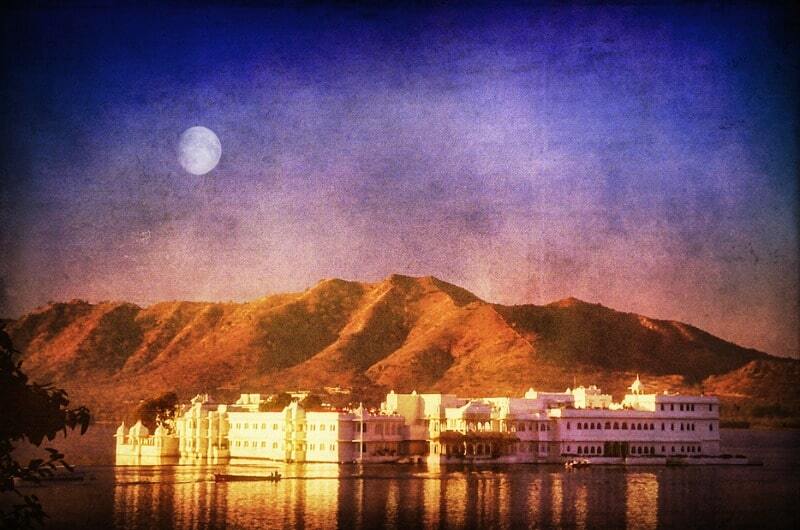 And in the centre rises the Lake Palace Hotel like a mirage. I could fall into a life-long trance on the edge of this lake, and spend my days dreaming, roaming the markets and alleyways and exploring the surrounding Aravali range. Travel Tip: If you can’t afford the Taj Lake Palace Hotel, stay in a more affordable hotel with lake views, such as the Jagat Niwas Palace or Jaiwana Haveli. 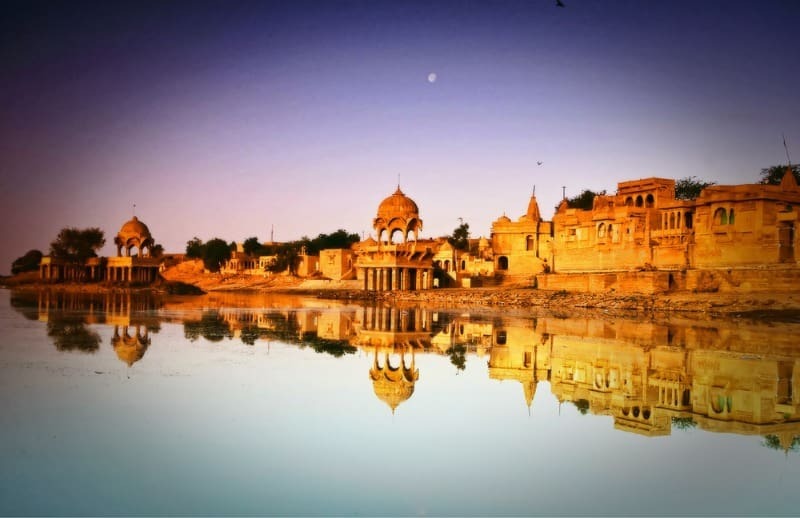 Jaisalmer is a dream in golden hues, a sand castle write large. To walk among her intricately carved havelis, peek into life inside the 11th century fort or sip tea while seeing the Golden City from a distance is to enter a land stopped by time. 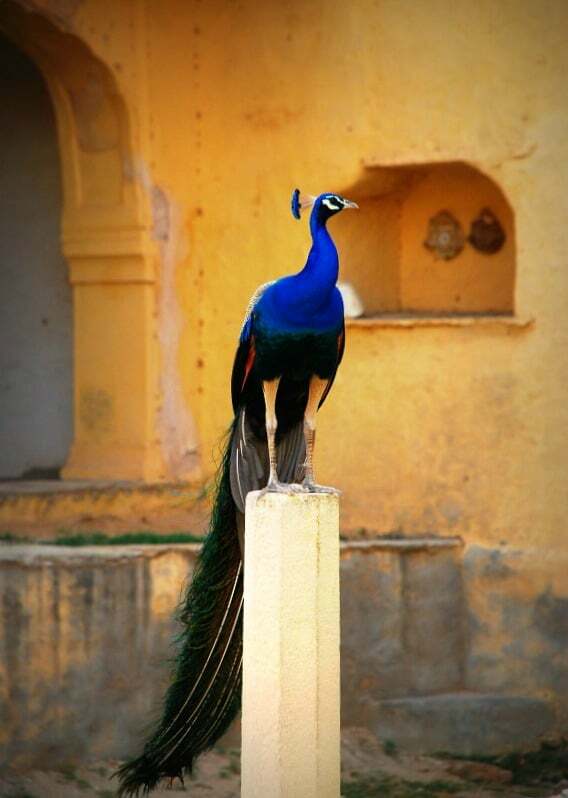 The overland trade routes used to stop in Jaisalmer, bringing wealth and artistry to the town. Now, tourism is the only real industry, and they do it well. 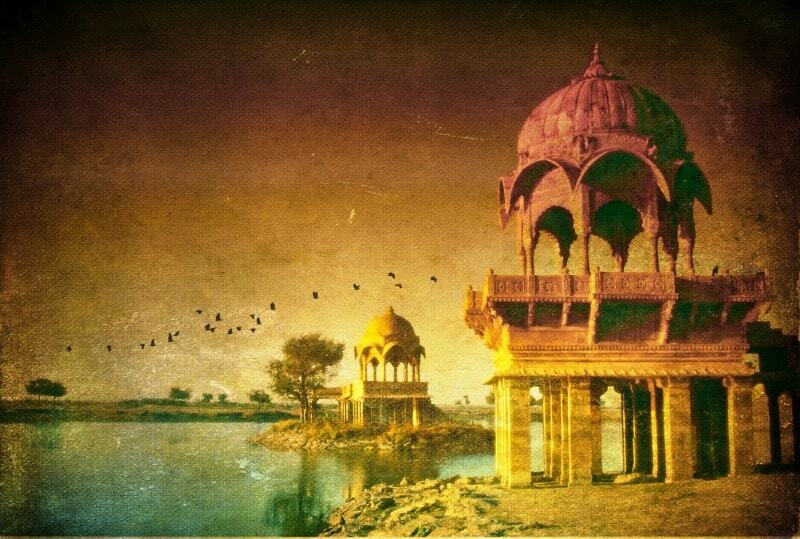 Read 1,001 tales of the Jaisalmer Desert. Travel Tip: Go on an overnight camel safari to the Thar Desert. There are many operators who can arrange this for you, such as the Fifu Desert Camp, who do a particularly good job. There is something hypnotically tranquil about boating on the Backwaters of Kerala, like drifting into a watercolour painting. The boats are graceful and come with everything you need, including staff. There’s literally nothing to do except relax and be one with the gently unfolding scenes of traditional life on the rivers. Travel Tip: Inspect the boat you rent before agreeing to a price. 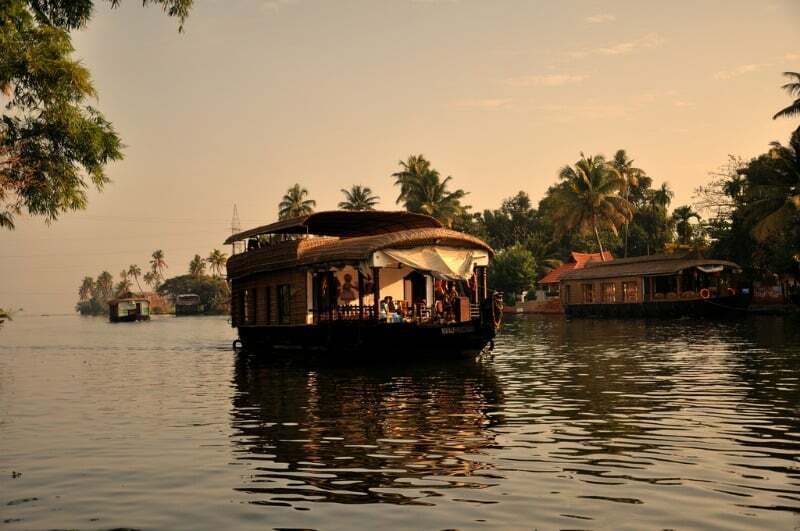 You can always find boats available in Alleppey, where there are hundreds to choose from. Bliss in a swirl of haze is the name of a book about the Windamere Hotel in Darjeeling and I cannot find a more apt description. I stayed there for three wonderful days so I could watch the sunrise from Tiger Hill on a red-letter birthday, and I was not disappointed. The morning dawned crystal clear and I marvelled at one of the world’s great natural spectacles as the white Himalayan range turned multi-colour hues. But after that, the region was swathed in mist and haze, which lent a dreamy charm to the rambling town. 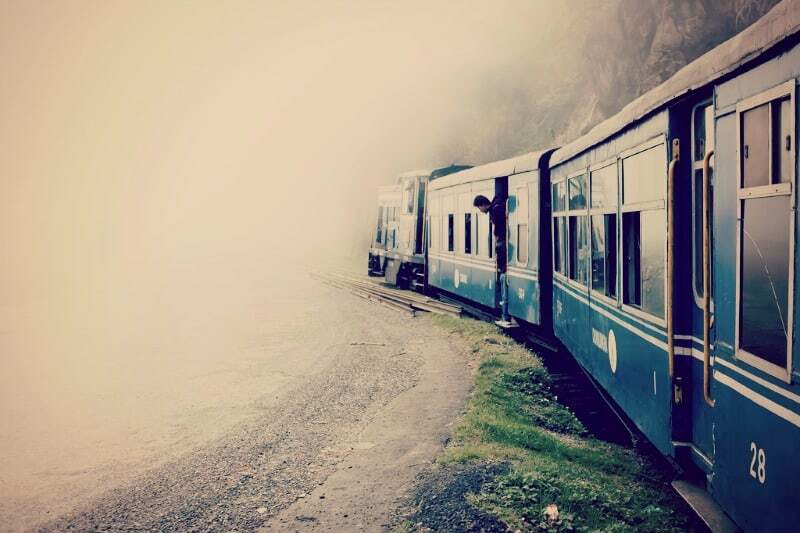 Travel Tip: Take the Toy Train up from New Jalpaiguri — the roads are skeleton-jarring. Stay at the Raj-era Windamere Hotel, or at least take afternoon tea there. This romantic retreat sits very near the top of Darjeeling, on Observatory Hill, and the views from the terrace, dining room and some of the suites are astounding when the mist clears. But it’s so romantic, you won’t care if the mist clears. At one time, a very large portion of humanity was ruled from this quaint hill station in Himachal Pradesh, north-east of Delhi, in the foothills of the Himalayas. The British Raj retreated to the cool climes of Shimla in summer when the heat on the plains, where Delhi is located, became unbearable. A pedestrian Mall runs along the ridge through town and it’s lined with cafes and shops, and still retains an aura of British cosiness. It’s a popular spot for Indian honeymooners now, which adds to the air of romance. Travel Tip: Take tea at the Oberoi Cecil Hotel and, if you can afford it, stay at the Oberoi Wildflower Hall in nearby Mashroba.